The three parties within the far-right nationalist coalition of the United Patriots – ATAKA, VMRO and the National Front for the Salvation of Bulgaria – which is GERB’s coalition partner in the current government, will likely run separately in the EU elections. The tension within the so-called ‘small coalition’ have been high almost ever since the beginning of this government, but have been spiraling almost out of control over the past several months. The three leaders Volen Siderov (ATAKA), Krassimir Karakachanov (VMRO) and Valeri Simeonov (NFSB) are now fighting among one another on an almost daily basis. Parallel to this, in a rare move PM Boyko Borissov hinted GERB’s electoral decline might be unsalvageable. But simultaneously, all is well in the country, the ruling coalition is stable, so is the government. The conflicts within the small coalition have been a troubling PM Boyko Borissov for sure. He relies heavily on their survival as a union to secure his government. So much so that some months ago he admitted his hand are tied regarding the UP. At the time, parents of children with disabilities protested daily demanding Valeri Simeonov’s resignation as vice prime minister, who referred to them on TV as “loudmouthed women with supposedly sick children”. The remark sparked public outrage and the demand for his resignation, but for the longest time Simeonov did not even apologies. He eventually half-heartedly did so but maintained he will not resign. Some weeks later he did. 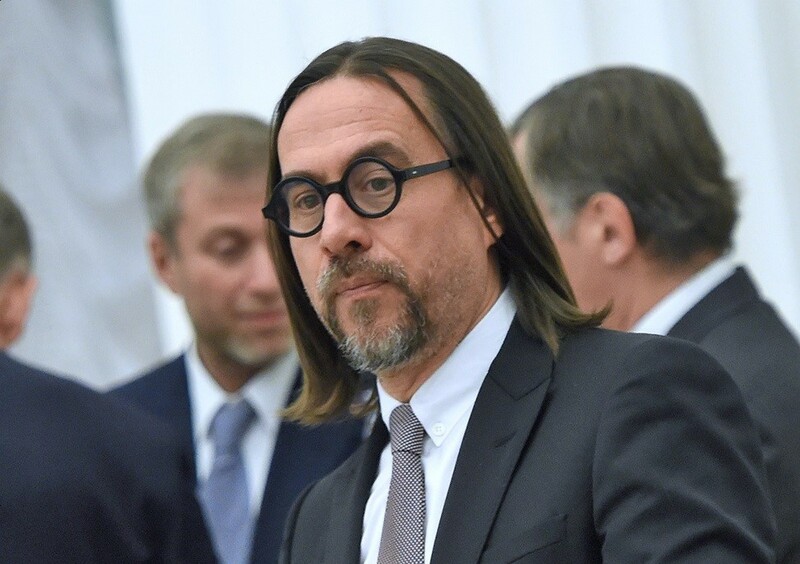 While this was going on the OM was asked about Simeonov and he said he cannot do anything about it and that if he did, his actions might lead up to the coalition’s demise. This was a key admission at the time, which bluntly made two points: one, PM Borissov’s only incentive is to keep himself in power, and two, he is more than willing to be held hostige by the UP at any given time, which effectively means they hold the true power within the government. There is no evidence this dynamic has changed in any way. But, the leaders in the UP plainly cannot stand each other. 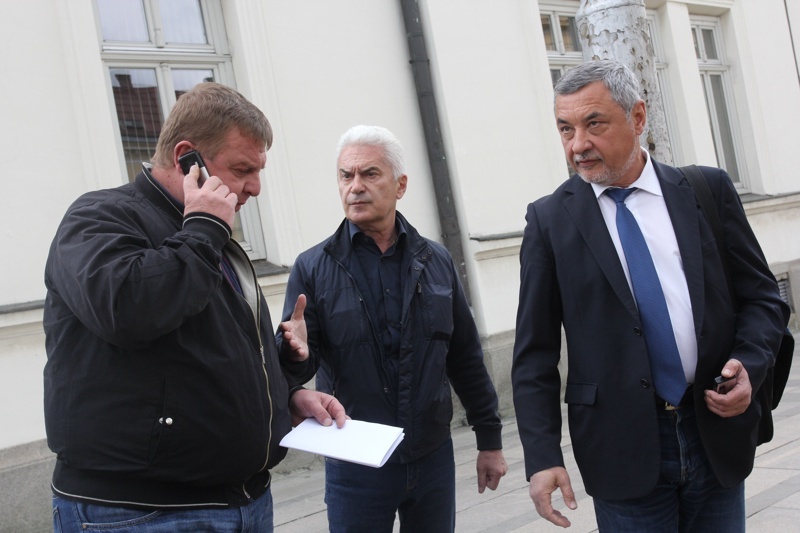 Siderov and Simeonov frequently fight and exchange slurs over the media. Karakachanov plays the peacemaker and go-between in those cases. Siderov also sometimes calls for Karakachanov’s resignation, and Karakachanov and Simeonov – for Siderov’s. Overall, apart from always finding the time to make some grand sexist or racist insult or grand gesture (like the swift demolition of an entire neighborhood with Roma houses, championed and overseen personally by Karakachanov), the prime function of these parties and the coalition is to fight among each other, employing tactics taken out of a soap opera plot. PM Borissov has demonstrated already that he is too afraid to go into these delicate relationships, which means that the only thing he could do is to continue to root for them not to split. And given how keen he is for the coalition to survive, this make his susceptible to blackmail from any of the small coalition’s members. Meanwhile PM Boyko Borissov’s party GERB held its annual meeting this weekend, where he made an unusual admission: GERB’s support is shrinking. Borissov, who is heading the third government, led by GERB and who has been in power for most of the decade, save for a year, always speaks in exceptionally high regard for himself and his party. Pointing out the declining electoral numbers, even though he tries to attribute the trend to external factors, is in of itself a novelty of some importance. It might be that the party is coming to terms with a reality of not winning the next elections due to inevitably declining approval numbers or that the party is not so willing to head its fourth Bulgarian government. Judging from the current kindergarten-like everyday life of this coalition, the latter might as well be the case. But either way, it means GERB’s days might very well be numbered. There is also much added pressure from the two elections scheduled for this year: for European Parliament in late spring and the local elections in the fall. Those will also help to determine the extent of damage to GERB’s electorate, as well as to see who has managed to best capitalize on it: the more likely ones for now are the parliamentary opposition, the Bulgarian Socialist Party, and the non-parliamentary opposition, the liberal Democratic Bulgaria. 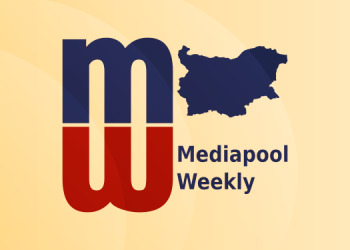 As Mediapool Weekly has had the opportunity to extend on this in detail previously, the prosecution power-centers in Bulgaria are successfully taking steps to emancipate themselves from the state. The two key institutions in play here are the Special Prosecutor’s Office and the Anticorruption Commission. The latter’s main function is to confiscate illegally obtained funds, but its governing legislations are so vague, it is used primarily to silence opposition or just to terrorize them continuously with probes, procedures and random attachment of funds. The commission and its agents in Parliament pushed for an incredible bill, which was later enacted into law, which gives the commission unlimited rights to initiate probes and procedures against individuals even after a court drops the charges against them related to the funds in question. In other words, you can be charged with money laundering, the commission may begin confiscation procedures based on the charges, then the court might rule the charges unjustified and this will have no effect whatsoever on the commission’s actions against you, much less bind them to cease the proceedings. This was the obvious scenario when the bill was passed, and this week might have brought forward the first opportunity to play it out. 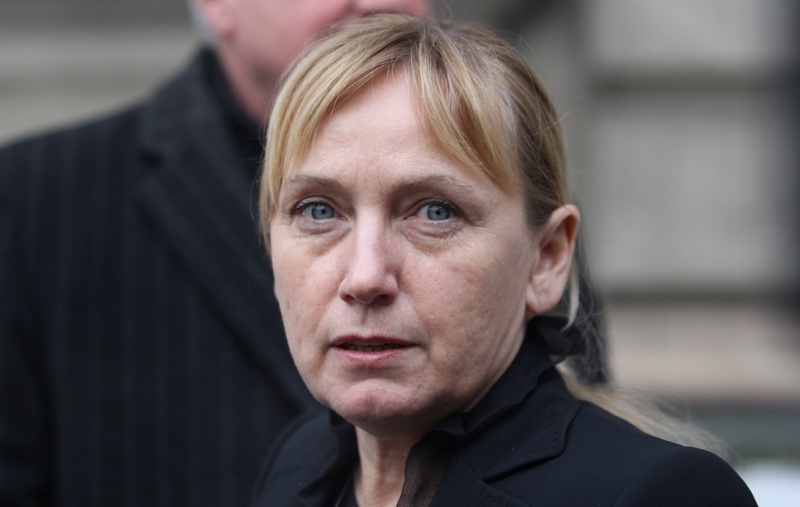 Elena Yoncheva is a journalist and currently an MP from the opposition Bulgarian Socialist Party. Back in 2012 she agreed to produce documentaries for TV7, a channel solely funded by the since bankrupt Corporate Commercial Bank (KTB). The bank was the fourth largest in the country and held most of the state’s money at the time. Its boss, Tsvetan Vassilev was no less than a hero in the eyes of the government and one of the most influential figures in the country. The bank and its managers are now facing numerous charges for embezzling the bank’s assets and for money laundering, among others. The Specialized Prosecutor’s Office has asserted that Yoncheva had known that the origin of TV7’s money for the for the production of her documentaries was embezzled by Tsvetan Vassilev from KTB. Which is what the prosecutors have apparently based their case against Yoncheva for money laundering. It is very unlikely that the case will survive in court, but – given the new legislation granting unlimited power to the anticorruption Commission – it is hardly relevant. These charges – as baseless as they might turn out to be - are more than enough to fuel indefinite proceedings by the commission against Yoncheva. Yoncheva also is a key figure in uncovering an alleged scheme of GERB MP Delyan Dobrev for fixing his relatives with government jobs, as well as granting state contracts to his cousin’s husband. At the center of the affair known as KumGate (kum means best man, and gate comes from the Watergate scandal). Interestingly, Dobrev was the one who initially alerted authorities that Yoncheva has laundered money for KTB. 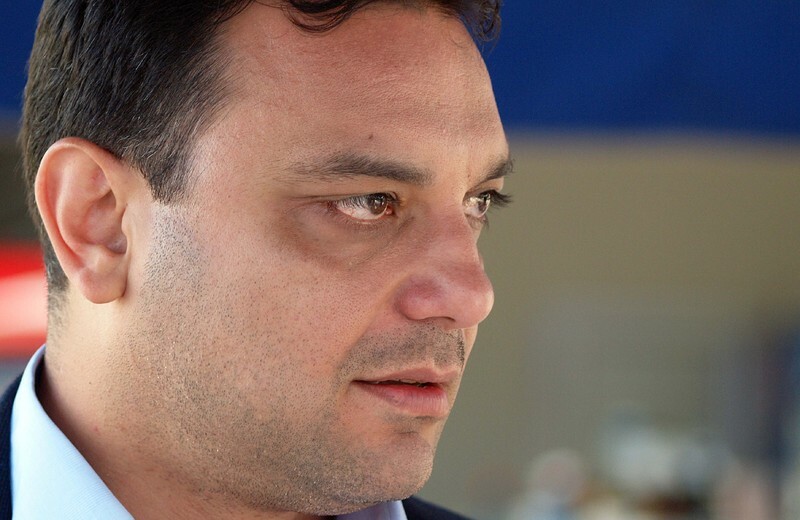 Former Transport Minister Ivaylo Moskovski will not be facing trial for the death of his three-year-old son, Sofia’s City Prosecutor’s Office decided. Last February Moskovski took his son on a snowmobile in the winter resort Borovetz bear Sofia. The child sat in front of his father and had no helmet. Moskovski couldn’t take a sharp turn and crashed into a tree. The child died. The prosecutors have been incredibly silent on the case over the past year. The decision not to take him to trial is yet another burning example of the severe biases of the Bulgarian prosecution across the board. Numerous precedents clearly demonstrate that in much less severe cases, resulting in child death the parents are held to account. Normally, if a parent puts their child in danger knowingly or unknowingly, and this results in the childs death, it is something of an open and shut case. In this instance, however, the prosecutors have declared that Moskovski cannot account for this danger: neither by knowing, nor unknowing. Just as prosecutors in Bulgaria are very used to declare guilt and impose punishment before any court ruling, they are equally inclined to rule out guilt and prevent court judgement. Bulgaria will repeal the option for foreigners to obtain Bulgarian citizenship for investment in the country. 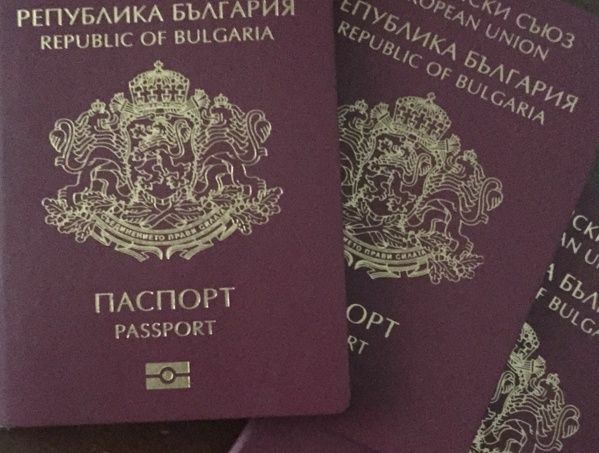 The news leaked mere hours after the European Commission made it clear it is not happy from the bad practices related to selling Bulgarian citizenship and – by extension – EU citizenship as well. Under the current legislation foreigner may receive a Bulgarian passport if they invest 1 million leva in a Bulgarian company, which implements a priority project for the country. Alternatively, one may obtain citizenship after living in the country for two years and investing 2 million leva in the country’s economy. The candidates are submitted to an obligatory check by the State Agency for National Security and the Ministry of Interior but apparently these law enforcement agencies have failed to convince Brussels in their efficiency to fend off double-dealers. Reuters reported earlier this week about an EU report, which raises concerns that the passport-for-sale practice opens the door for organized crime groups to infiltrate the EU. The document describes schemes for passport obtainment, which bypass the obligatory background check of the candidates. The report concludes that Bulgaria – along with the other two countries selling citizenship for investments, Cyprus and Malta – fail to secure these checks, which makes it easy for members of criminal and terrorist organizations, to launder money, finance criminal activities and otherwise operate on EU territory. The Bulgarian Ministry of Justice almost immediately announced it will revoke after the Reuters report emerged. According to a statement by the ministry, the country will remove the passport-for-sale policy but it will continue to grant the right to residence of foreigners against investments in the country. Originally, the option to receive citizenship was meant to attract large foreign investments but the data today shows that the measure has not delivered and the real foreign investments since 2013 have not risen thanks to it. Sergey Adoniev, a Russian billionaire, convicted in the United States on charges of fraud and money laundering back in 1998. The information is public and available numerous web and other media sources, including Wikipedia. Past convictions are part of the background check the authorities make before granting citizenship. But the Bulgarian authorities failed to find out about his conviction and he received a Bulgarian passport in 2008. Former Minister of Tranasport Petar Mutavchiev of the Bulgarian Socialist party recommends Adoniev be awarded Bulgarian citizenship. He had a Bulgarian passport up until last year when it was revoked. But that did not pose much of a problem for him to travel freely in the EU thanks to the fact that his wife still got to keep her Bulgarian citizenship, after her husband’s was revoked. Two of the three development projects on different beaches along the coast have been suspended this Friday for procedural breaches. The investor in the third project has withdrawn willingly. The news about the developments and construction work on the sites caused public outrage and promises for mass protests. 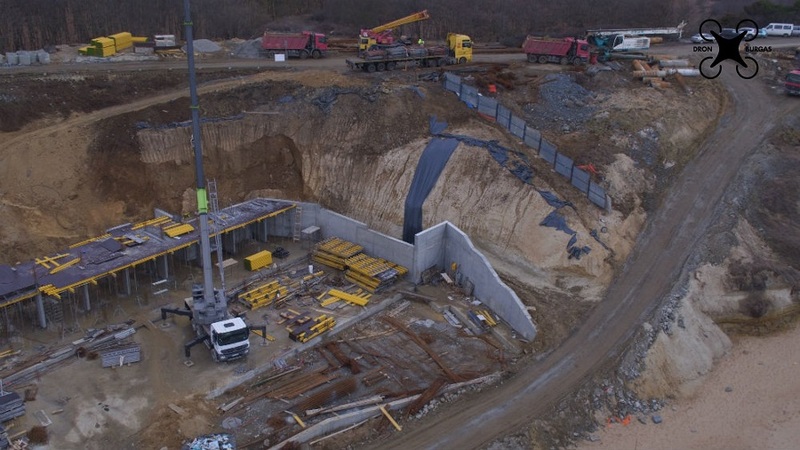 In all sites concrete foundations have already been laid (Alepu), in others – tries have been cut down (Arapia) and dunes have been destroyed (Gradina). Likely following the public’s backlash, and fearing more to come, PM Boyko Borissov ordered authorities check the projects. They found breaches in two cases. Before the third was probed, the developer withdrew from the project willingly. It is unclear what will happen to the development in Gradina. But for the other two, there doesn’t seem to be reason enough for discontinuing them altogether. The current measures are in place until the irregularities are cleared up. Which means that the sites eventually will be developed.